The development of a large recreational vehicle resort near Gulf State Park in Orange Beach will continue to expand a piece of the beach tourism industry aiming to serve snowbirds in the winter and touring families in the summer months. Pandion Ridge LLC is developing a master-planned, high-density maritime RV resort community on Canal Road, three-tenths of a mile west of the Foley Beach Express in Orange Beach and adjacent to the west entrance of The Wharf. The Pandion Ridge RV Resort is in development on 221 acres and includes plans for clubhouse buildings, swimming pools, pile-supported walkways, electric and sewer infrastructure, and paved RV parking pads. According to Gulf Shores and Orange Beach Tourism, Pandion Ridge will be part of a list of 14 RV resorts and campgrounds around Gulf Shores and Orange Beach. Kay Maghan, a Gulf Shores and Orange Beach Tourism representative, said the tourism bureau doesn’t have a reliable way to track the direct economic impact of lodging-on-wheels, but RV resorts do contribute to the local economy by generating lodging-tax revenue. Surveys found on the Gulf Shores and Orange Beach tourism bureau’s website indicate a greater percentage of visitors use RV resorts and campsites during summer and winter months than in spring and fall. A survey of visitors between November 2014 and February 2015 showed 16 percent of 646 respondents staying in RV resorts and campgrounds, while in the summer of 2014, 15 percent of respondents used RV resorts for beach lodging. In the fall of the same year, just 6 percent of surveyed visitors chose RV resorts. A similar survey of 559 beach visitors in spring 2015 indicated 417 of those visitors stayed in paid accommodations in Gulf Shores, Orange Beach and Fort Morgan. According to the survey, just 3 percent of those visitors stayed in an RV resort or campground, while 73 percent stayed in rented homes, condominiums or timeshares. The average travel party in spring 2015 spent $1,484 on lodging. When complete, the Pandion Ridge resort will have approximately 493 rental lots built in three phases, the first of which will be 39.4 acres with 172 lots. Nearby Gulf State Park has 496 RV lots and access to a golf course, walking trails, modern bathhouses and a 1,500-foot fishing pier, all within walking distance to the Gulf. 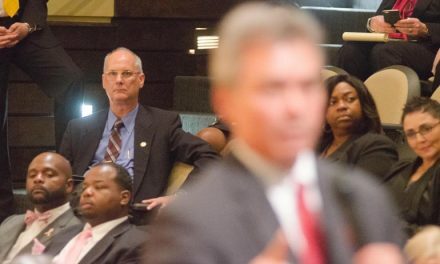 Orange Beach Planning Director Griffin Powell said three RV resorts have been approved by the Orange Beach City Council in the last few years. Heritage Motor Coach Resort & Marina, constructed in 2009, has 79 lots and is fully built out, according to Powell. The resort is gated and restricted to “Class A” motorcoaches, the largest and most luxurious of recreational vehicles, none older than 10 years. 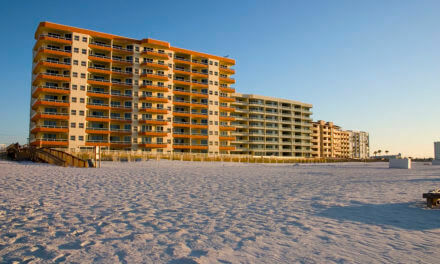 Located on Bayou St. John in Orange Beach, the resort offers lots for rent and sale. The Buena Vista Coastal RV Resort is a 32-acre site located on State Highway 182, just east of Gulf State Park. Powell said it is being developed in phases of eight to 10 lots and will eventually house 111 RV spots. Buena Vista offers ownership and rental spots, some with attached coach houses. The city is also home to the Beech Camper & Mobile Home Park and the Terry Cove Motor Coach Resort on Canal Road. At Terry Cove, motorcoaches must be “Class A” and no more than 15 years old. Powell said the city saw an influx of RV resort applications after a decline in condominium development following the devastation of Hurricane Ivan. According to Powell, privately owned RV resorts and campgrounds have also grown because of the popularity of lots at Gulf State Park. “I do think wait lists and bookings at Gulf State Park have contributed to the growth of some of the private resorts,” he said. Orange Beach has a special zoning designation for RV parks, RVP, and one for mobile home parks, MHP, but Powell said Pandion Ridge, Buena Vista and Terry Cove are zoned as Planned Unit Developments or PUDs. According to Gulf Shores Planning Director Andy Bauer, there are nine RV parks in Gulf Shores with approximately 1,200 campsites. Economic impact data for those sites was not available, but Bauer said RV parks are a popular destination for tourists. Gulf Shores has a special zoning district, R5, which allows for mobile home parks and RV resorts. Bauer said there has not been much change in the RV resort market in Gulf Shores in the last 10 years. Farther north, there are 13 RV resorts and campgrounds in Foley, Summerdale, Robertsdale and Elberta listed online at VisitFoley.com.